Many enterprises see the value in applying AI and machine learning to their business challenges, but not all have the necessary resources to do it. From the beginning, our goal has been to make AI accessible to as many businesses as possible. We are excited to announce a number of new solutions that provide an easy way to use AI to address common business challenges. Document Understanding AI is a solution that enables you to automate key document processing workflows and extract valuable knowledge from within those documents. How do we do that? 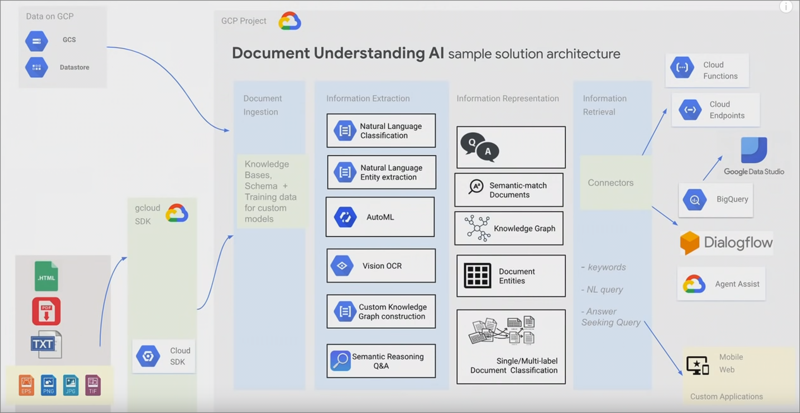 Document Understanding AI is powered by our powerful natural language capabilities, knowledge capabilities and vision OCR capabilities. 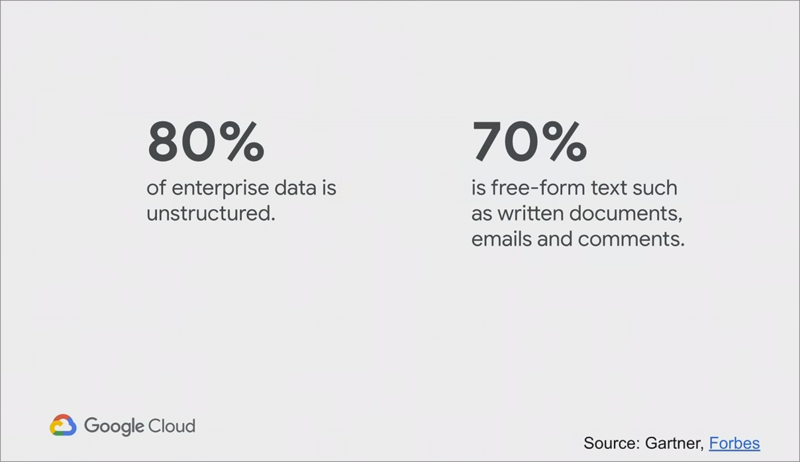 Document Understanding AI allows organizations to injest data like forms, documents and contracts. Key value pairs and entities can subsequently be extracted from documents. In addition, businesses can add their own schema where Google provides knowledge capabilities through a new alpha capability called knowledge service. Google has established several partnerships with organizations like Iron Mountain, Box, Egnyte, UiPath, Accenture and Taulia to broaden their eco-system. 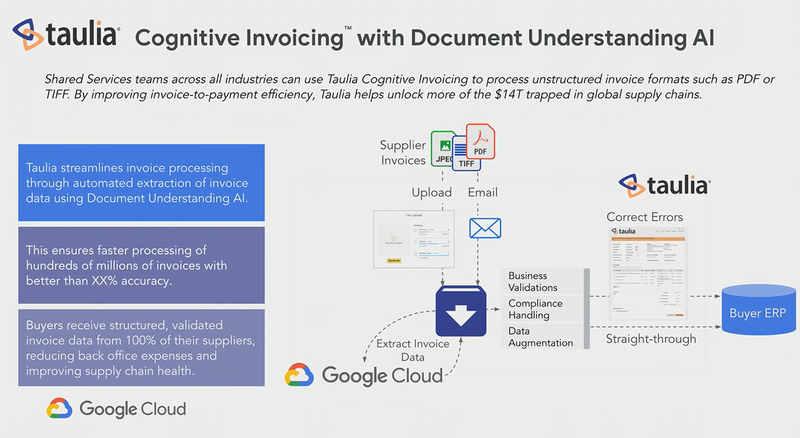 In the case of Taulia, they are using Google’s Document Understanding AI to read and interpret unstructured supplier invoice data in their global invoicing platform. Using AI we have finally cracked the intractable invoice processing issues that many businesses face. We are now able to fully realize our vision of enabling buyers and suppliers to freely exchange information. The faster an invoice can be processed, the sooner it can be leveraged within the company’s working capital strategy, thereby bringing more opportunities for companies to free up cash. It’s a complete game changer for Finance teams. For more information on Document Understanding AI and to sign up for the beta, please visit the Google product page.